Queen + Adam Lambert have revealed plans for their next North American tour. 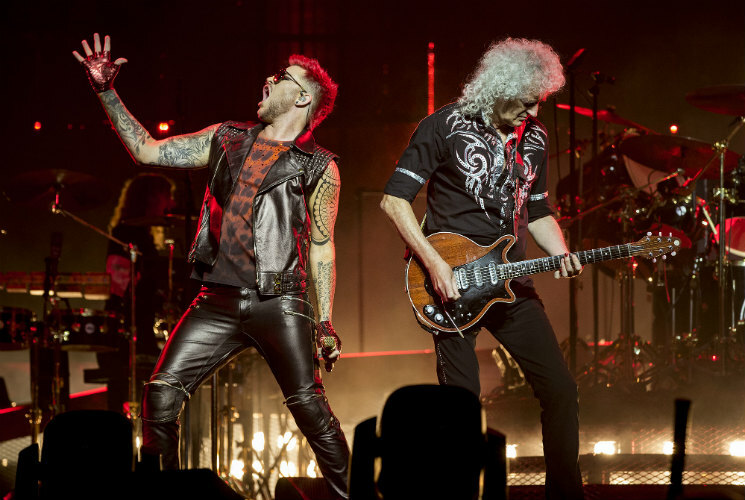 Original Queen members Brian May and Roger Taylor will once again be fronted by the former American Idol star, and they'll take the latest incarnation of the band out on tour across the U.S. and Canada next summer. Dubbed the "Rhapsody Tour," the trek will start in Vancouver on July 10 and will return north of the border for a second Canadian show in Toronto on July 28. The tour will then dip south again, eventually wrapping up in Charlotte on August 23. May, Taylor and Lambert will be joined in the lineup by Spike Edney (keyboards), Neil Fairclough (bass) and Tyler Warren (percussion). See the full list of upcoming tour dates and a teaser trailer below. The "Rhapsody Tour" comes following the release of the box office success of Queen biopic Bohemian Rhapsody. Despite getting poor reviews and accused of making factual errors, the film has been defended by star Rami Malek and May himself.